Cook potatoes in salted water until soft. Sieve and set aside. Mix remaining ingredients except bread crumps and add to potato pure. Mix well, add salt and pepper and make 8 balls. 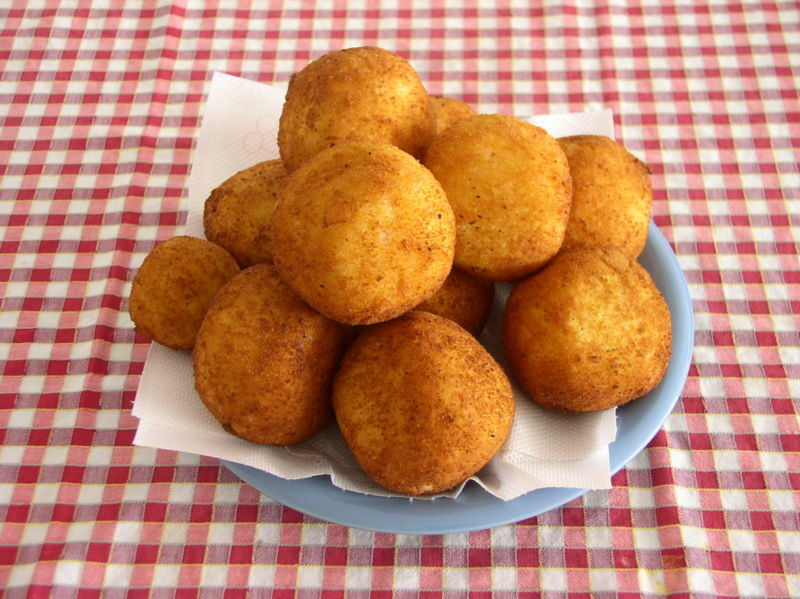 Cover balls with bread crumps and fry for 3-4 minutes or until golden. This entry was posted in Los huevos de Alvaro. Bookmark the permalink.